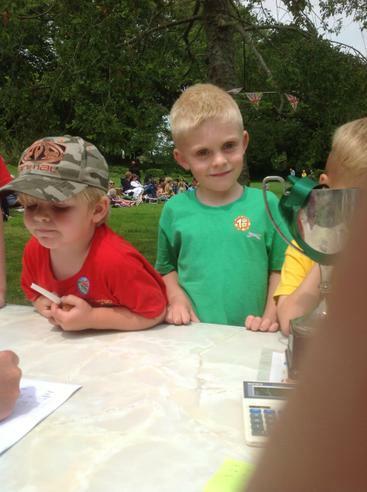 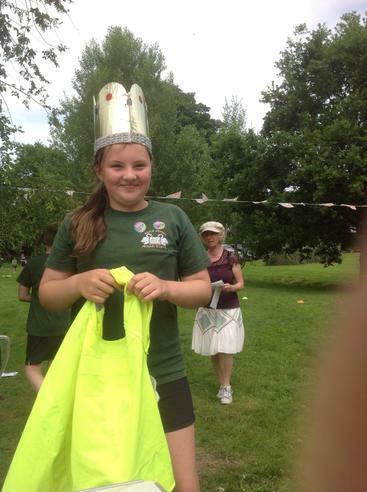 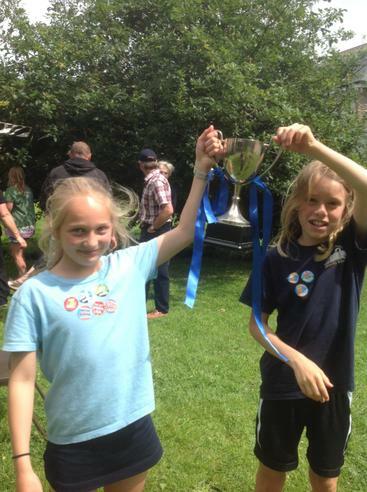 'Yealm' are our Sports Day winners! 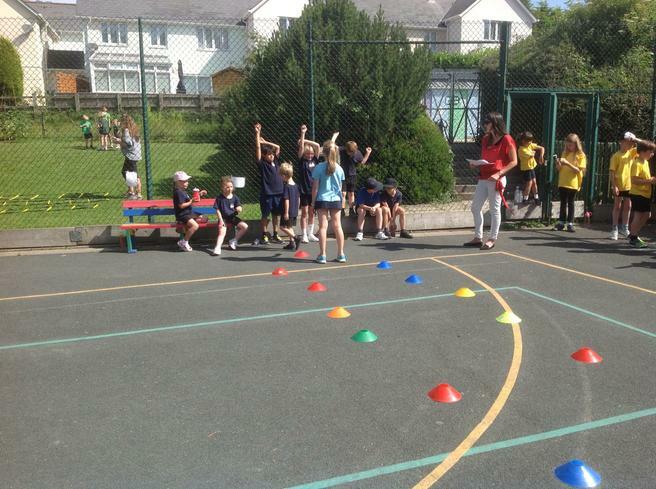 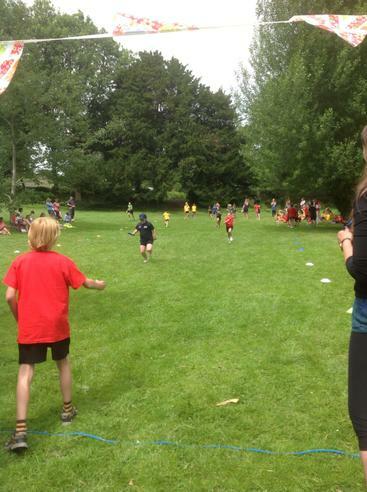 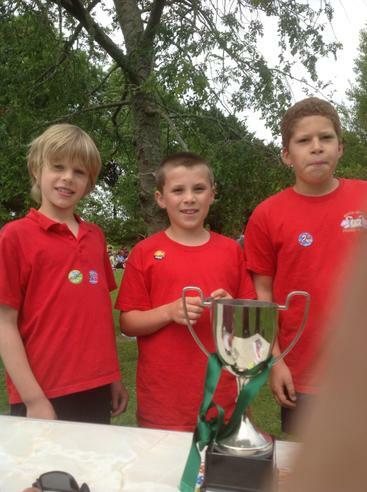 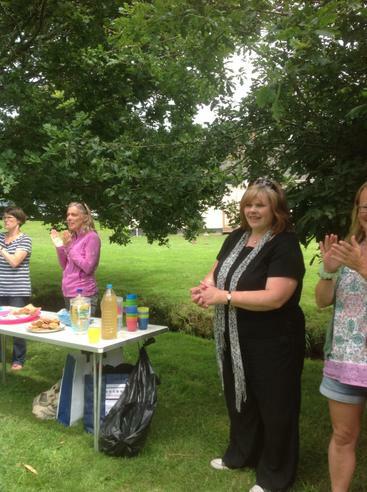 Congratulations to all of the children in 'Yealm' team who won our annual Sports Day competition today. 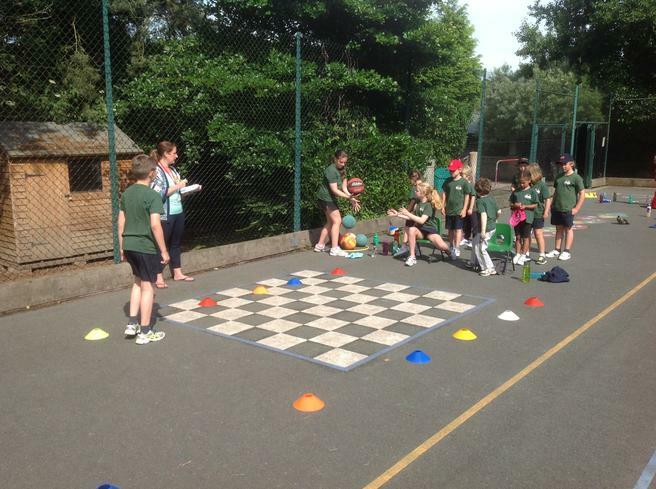 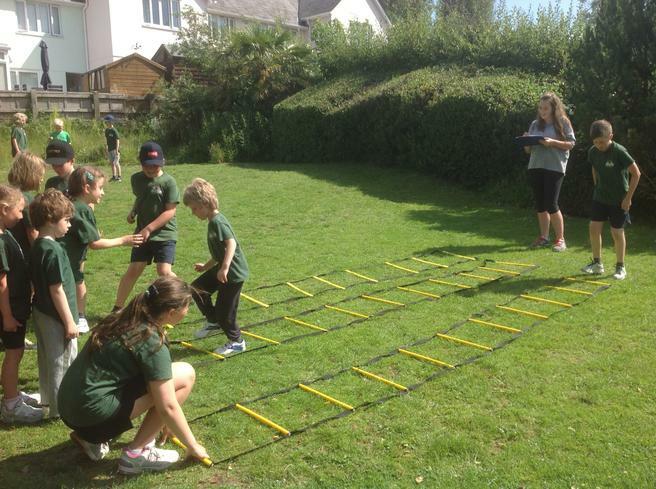 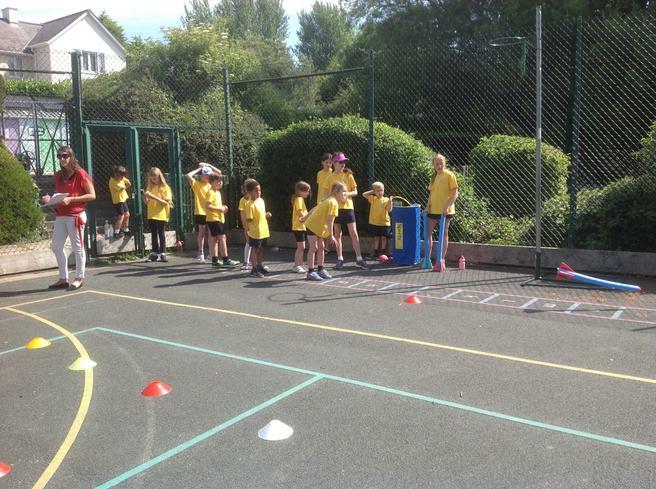 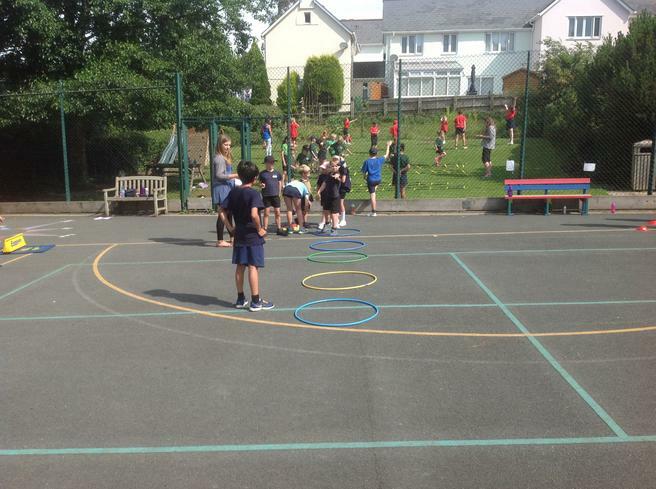 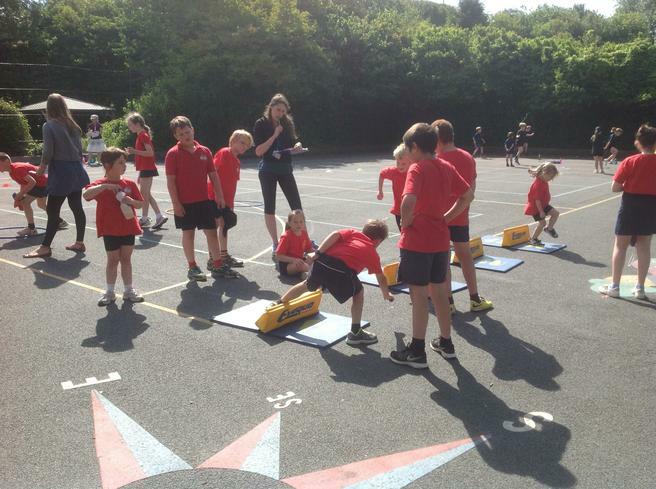 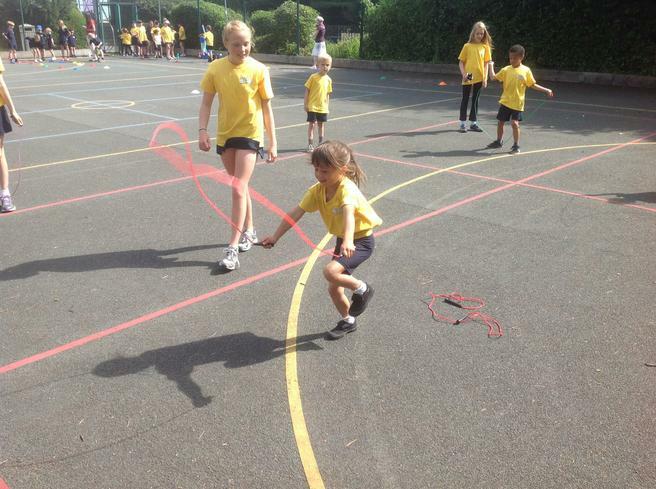 Throughout the morning the children from the four school teams of 'Yealm', 'Dart', 'Avon' and 'Erme' took part in team activities arranged on the school grounds. 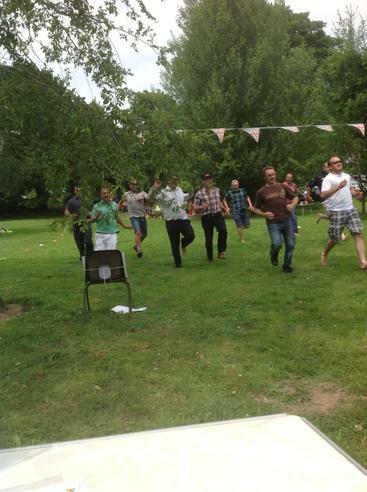 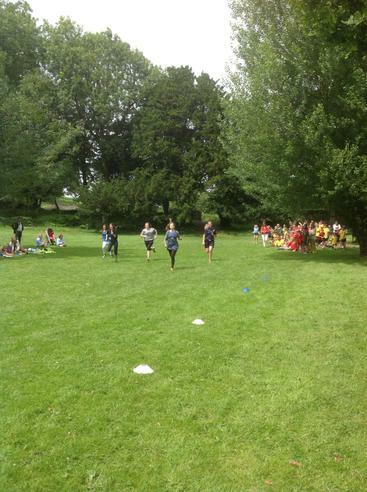 By lunchtime 'Yealm' already held a substantial lead with the three other teams almost neck-and-neck. 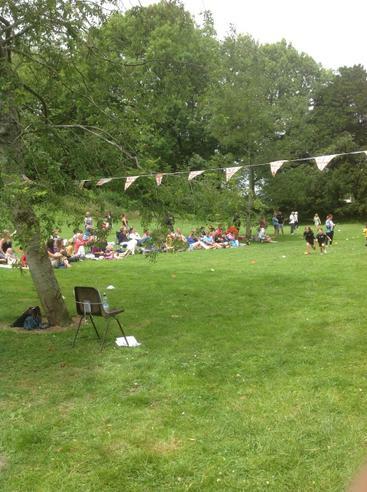 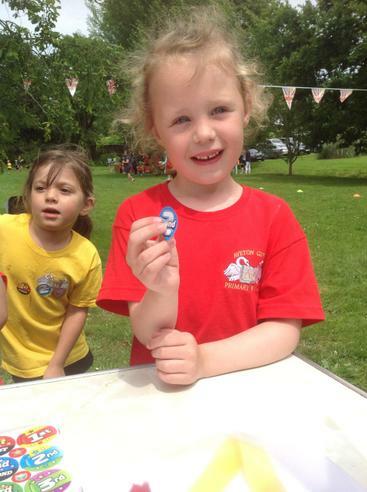 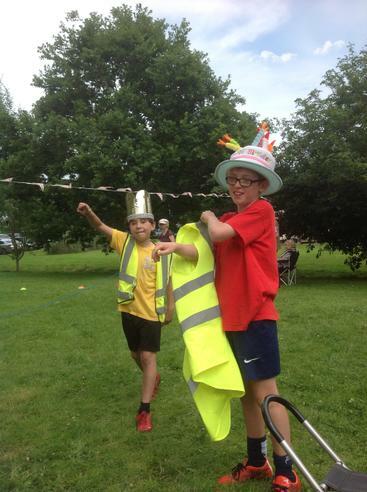 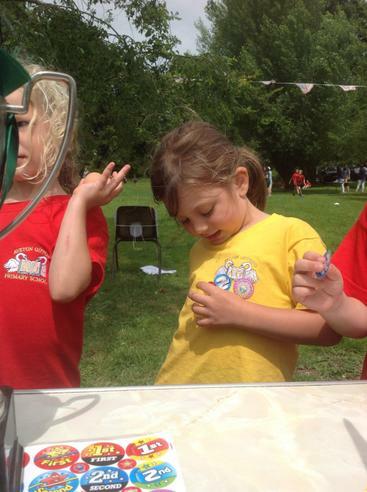 The competition moved to the Village playing fields after lunch with the children taking part in individual races which included running, skipping, egg-and-spoon, relay and fancy dress. 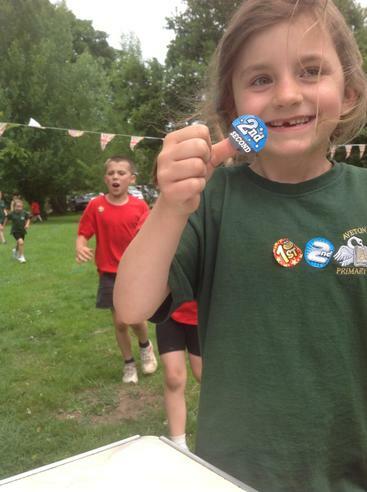 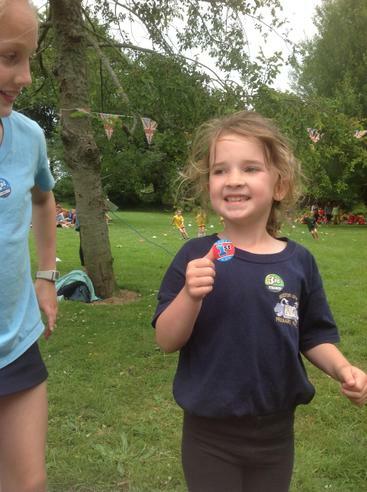 Our Year 6 children assisted the younger children throughout the afternoon, ensuring that they registered they final race places (so that they could receive their stickers! 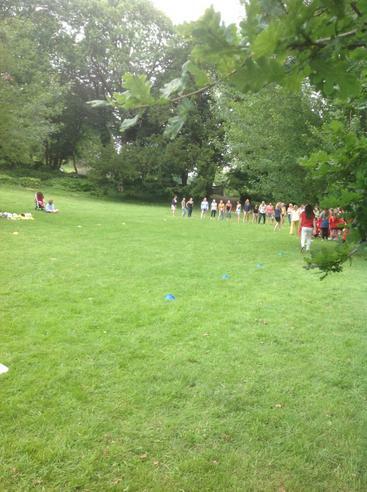 ), before accompanying them back to their teams at the far end of the playing field. 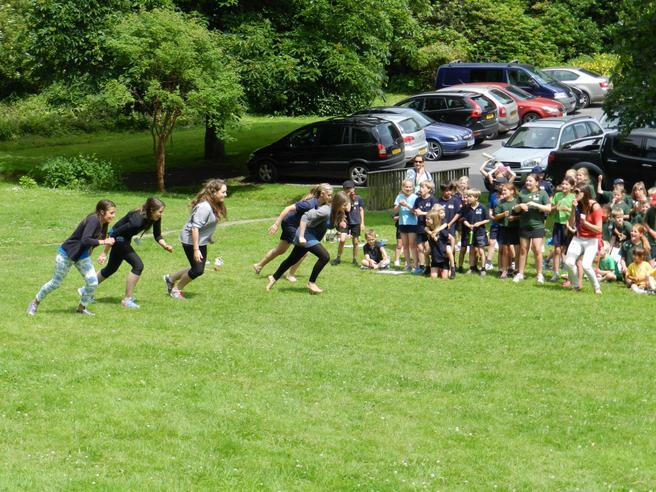 Before the final result was announced the two most eagerly awaited races of the afternoon took place - the mother's and father's races! 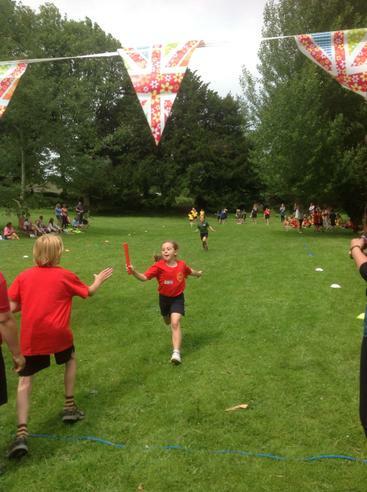 Mrs McCarthy-Patmore announced the result in reverse order and there were huge cheers when 'Yealm' won which became even louder when Dominic and Lily-Rose, the two Team Captains, took the lap of honour. 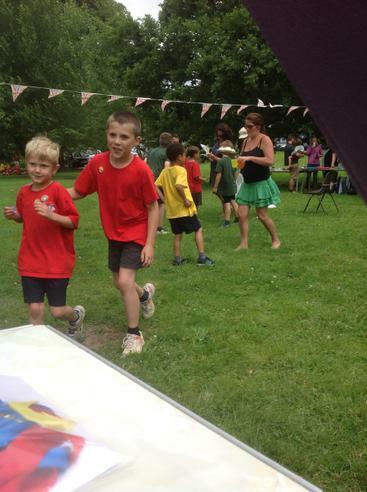 No sooner had they finished running when all of the children started to call for a Teacher's Race! 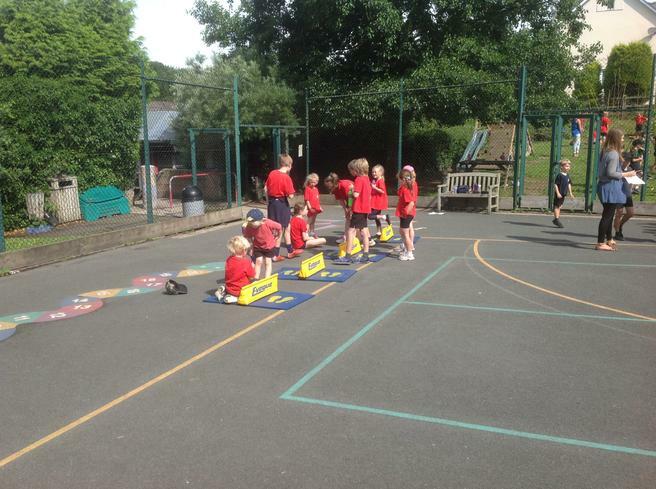 We were all delighted when Miss Pitman and Miss Drabwell, who had joined us in school again today, agreed to take part. 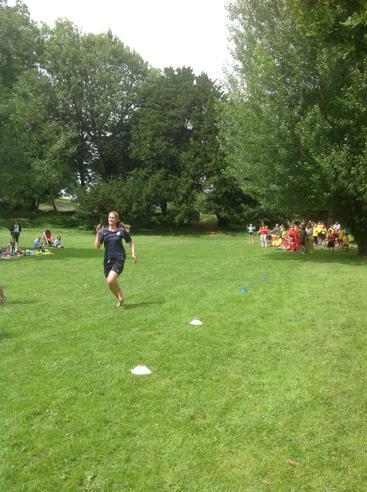 There was a lot of laughter when Miss Naylor crossed the finishing line in first place, having started slightly ahead of the other staff!! 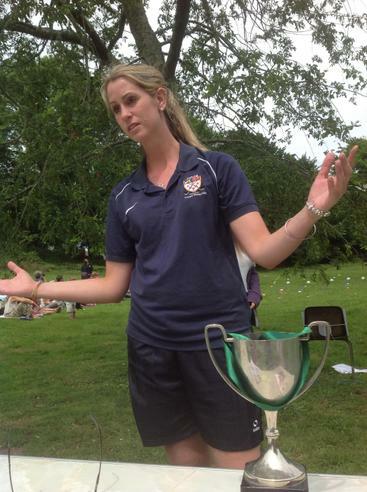 Mrs Sheppard, Ms Burnett, Mrs Hext and Mrs Cadle for everything you have done. 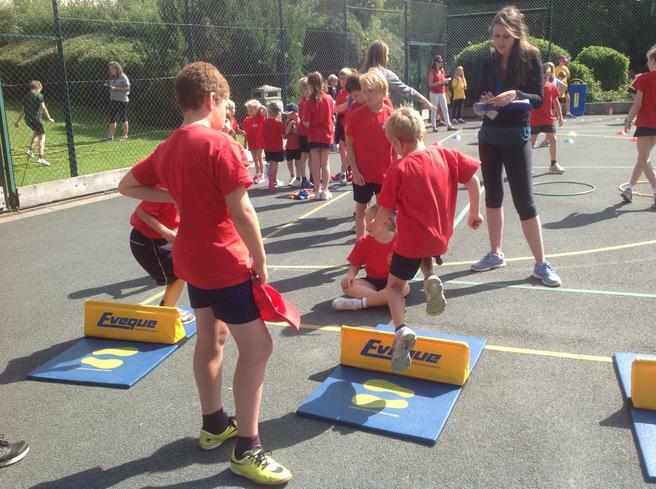 Please look at our PE & Sports section for more photos of this great day!